While it’s certain that short-term volatility exchange traded products (ETPs) like VXX, TVIX, and UVXY are doomed to march towards zero, their decay rates are not consistent. Things like bear markets and big corrections can cause big upward swings. 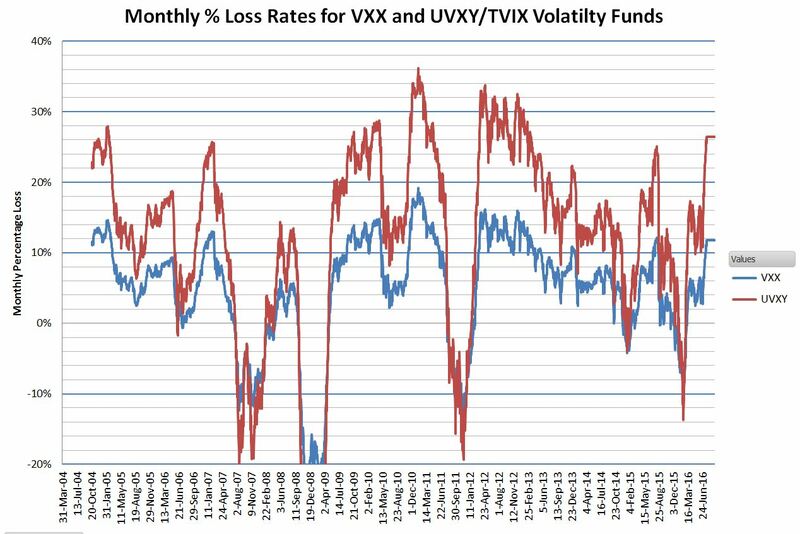 On the downside, the term structure of VIX futures and the volatility of volatility can significantly impact decay rates in monthly and yearly time frames. The charts below give a graphical history of their decay rates. With each of them I’m making trade-offs between reducing noise (averaging out normal market action) and the ability to see medium term trends. Each data point on the first chart is computed using the cumulative gain or loss over the previous six months and a monthly compounding period. 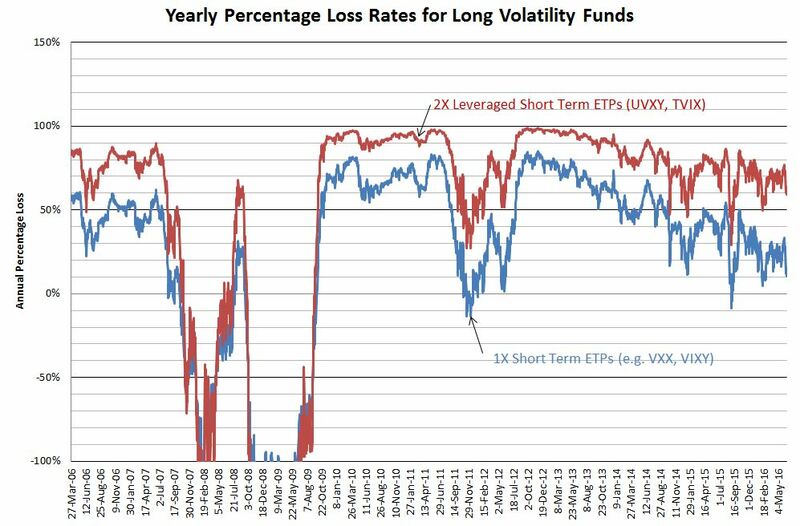 None of these ETPs existed before 2009 (the first one, VXX started in January 2009), so I used my simulations based on historical VIX futures data to generate the pre-inception data. The yearly percentage chart below uses a monthly moving average for all the price points and then uses the result for each date and the price a year prior to compute the simple percentage increase or decrease. 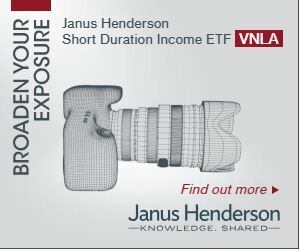 Despite eye-watering decay rates these funds are increasing in popularity. I’m not sure why (except for the possibility of shorting them). They are one of the few investments that will reliably go up when the market has a significant drop, but unless your timing is exquisite the decay rates on these ETPs will make you wish you never laid eyes on them. The formula used in the first chart is the classic compounding equation: Compounded Growth = ((End Price/ Start Price)^(1/Period))-1 To obtain monthly compounded returns I use a start price 6 months prior to the end price. The start price I use is the average of the prices 21 days prior to and including the start date. The period used in the formula is, of course, six. I multiplied the results by negative one in order to make decay rates show up as positive numbers. The second chart uses moving average prices (22 trading days) and computes the percentages using End Price / Start Price -1, with the start price one year previous to the end price. I multiplied the results by negative one in order to make decay rates show up as positive numbers.